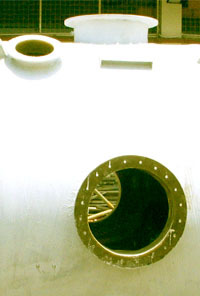 Crosstek designs and manufactures corrosion resistant fiberglass reinforced plastic for industrial applications. Our line of products include pipe & fittings, ducting & stack, tanks & vessels, pressure vessels, scrubbers, carbon towers, hoods & covers, dampers and gratings. We also provide custom fabrication.